In 2014, Germany produced 56 TWh of electricity by wind power (BP Statistical Review of World Energy June 2015). Over the last 10 years Germany produced 422 TWh by wind power. At the end of 2014, the country had 39.2GW installed nameplate capacity (EWEA: Wind in power 2014 European statistics), which looks like a capacity factor of 16% (this understates the factor as the wind power installed in December 2014 can’t contribute very much – if instead we use installed capacity at end 2013 – 34.3GW – this gives a capacity factor in 2014 of 19%, so the correct value is in the range of 16-19%). If this windpower replaced coal-fired power stations at about 900g/kWh of CO2, this last 10 years of wind has reduced Germany’s CO2 emissions by 380M tonnes CO2. And over the next 20 years (assuming 17.5% capacity factor) this installed base will produce 1,200 TWh, reducing CO2 emission compared with coal of 1080M tonnes CO2. At current costs (see last article), which understates the country’s expense, Germany has spent a capital cost of €39BN, plus some considerable O&M costs. As wind power increases in grid penetration, the benefits reduce a little – basically you will be ramping up and down conventional generation more, as windpower gets priority. This ramping up and down reduces efficiency (how much is a question we will look at in another article). Even though Germany has about a 10% average penetration of windpower, at peak windiness times, wind power might easily be over 50% of the power in the network, leading in fact to curtailment at certain times (see V – Grid Stability As Wind Power Penetration Increases). However, CO2 is a well-mixed GHG. So CO2 emissions from Germany are exactly the same as CO2 emissions from the US. That is, whether the US or Germany reduced their emissions by 380M tonnes of CO2 over 10 years makes zero difference to the climate. The average capacity factor in Oklahoma in 2011/2012 was over 41%. 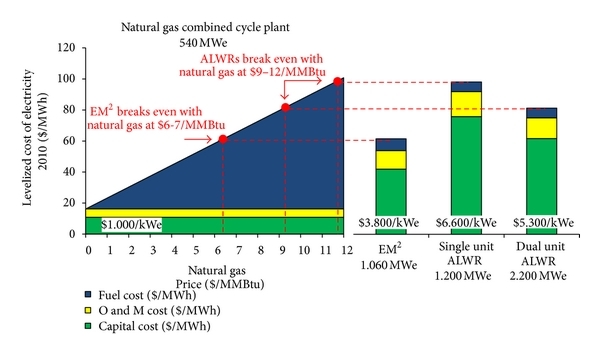 Let’s assume that the capital costs outside of buying the turbine are the same (grid connection, land cost, access roads, regulatory compliance, etc). In that case German windpower investment of 39.2GW of nameplate could have produced 2.3x the energy (41%/17.5%). Instead of reducing CO2 emissions by 380M tonnes CO2 to date, and a potential 1,080M tonnes over the next 20 years – the reduction would have been 870M tonnes to date and 2,500M tonnes over the next 20 years. Just add a page to the national energy production figures which shows the benefit. It’s not hard to understand. I don’t want to pick on Germany, but it’s a nice concrete example. When you spend over €40BN on something it’s no longer a hobby. Why not get two and half times the environmental benefit? I guess that there’re the benefits of avoidance of coal power plant particulates, mercury, etc., there’s the benefit (at least perceptually) of reducing national reliance on non-renewable and imported resources, there’s the “we did it, you can too” boost, there’s the “putting Germans to work in Germany” benefit (construction, O&M, etc., and yes, coal fired plants might do the same but building in the US midwest certainly wouldn’t), there’s the “if I vote to build turbines in the US I’ll be run out of office” benefit. Probably there are others. So, apart from local coal emissions causing some local environmental issues, no reason for not installing wind power in a much more environmentally beneficial location – except voters. That is, voters will vote for “saving the planet” if it includes jobs for the locals, but otherwise forget it, even if it is a much more effective policy? Saving the planet x 2.3, with no local jobs = voted out of office. Saving the planet much slower, but with local jobs = stay in office. I have thought about the idea that wind generated electricity is displacing coal as postulated in this post because that’s not really what’s happening. I consider it to be one of the most tragic decisions for our environment that Germany elected to walk away from nuclear power. Many of these were closed down early in their lives or in a mad rush in 2011. If Germany had stayed the course as France did then by the end of 2015 they would have generated 1,427 TWh with a saving in CO2 of 1,365 million tonnes. Its not appropriate to be congratulating Germany for its use of wind power when the 422TWh that has been generated by wind is really only replacing the low carbon nuclear that would otherwise have been generated. No coal is actually being displace by this policy. It has similarities to the crazy idea of building PV panels utilising coal power in China and exporting them to France. On top of that Germany’s rush to wind has expanding the gas market and imports from Russia to support wind generation. Its anyone’s guess what fugitive emissions exist and how much gas is consumed in transfer pumping but at 3% losses the gas is about equivalent to coal in terms of CO2 equivalent emissions and at 9% its about double. This is based on methane being 25 times more potent as a greenhouse gas than carbon dioxide. Other variable include the amount of CO2 liberated from the gas basin itself. on September 10, 2015 at 1:04 pm | Reply Mike M.
I agree with Robert Parker. SoD wrote: “If this windpower replaced coal-fired power stations at about 900g/kWh of CO2, this last 10 years of wind has reduced Germany’s CO2 emissions by 380M tonnes CO2.” The most important word in that statement is “if”; but that typically gets ignored. The German move away from nuclear can not be treated as being independent of the push to renewables. They are motivated by the same ideology. And since wind displaces base load power, large wind penetration is not compatible with conventional nuclear. A meaningful evaluation of the effect of wind and solar on CO2 emissions has to look at the emissions from the power generation system as a whole. The data I have seen on coal use in Germany indicates that the net effect of their very expensive “transformation” has done little, if anything, to actually reduce CO2 emissions. The average retail price of electricity in the US is some $13/MWh. There is recent modelling of penetration scenarios by the NREL. 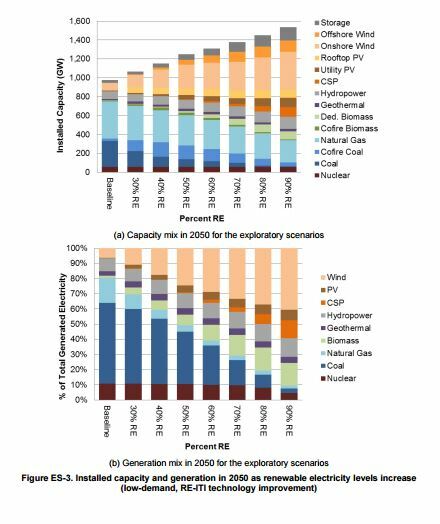 The 80% by 2050 scenario involves some 40% wind power. 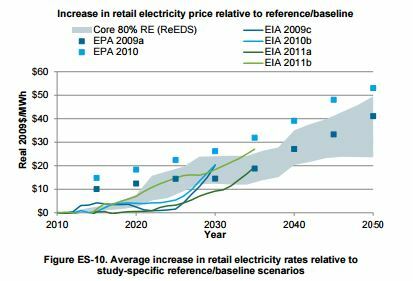 It increases retail costs in 2050 by some $25 to $50 dollars over the baseline scenario. In a purely economic sense it must result in lower productivity – higher cost per unit production – and thus fewer jobs. The question rarely asked in the public and political arena is whether there are more efficient ways to reduce greenhouse gases – and aerosols – in the short term? industrial gases including perfluorocarbons (PFCs), hydrofluorocarbons (HFCs), and sulfur hexafluoride (SF6). When taken together with the already banned chlorofluorocarbons (CFCs), their climate significance over the past century is roughly equivalent to that of CO2. Looking to likely emissions over the next halfcentury, it is also the case that feasible reductions in emissions of methane and other non-CO2 gases can make a contribution to slowing global warming that is as large as or even larger than similar reductions in CO2 emissions. To effectively limit climate change, and to do so in a cost-effective manner, thus requires that climate policies deal with CO2 and non-CO2 gases alike. Black carbon is of the same order of impact as carbon dioxide from fossil fuels. 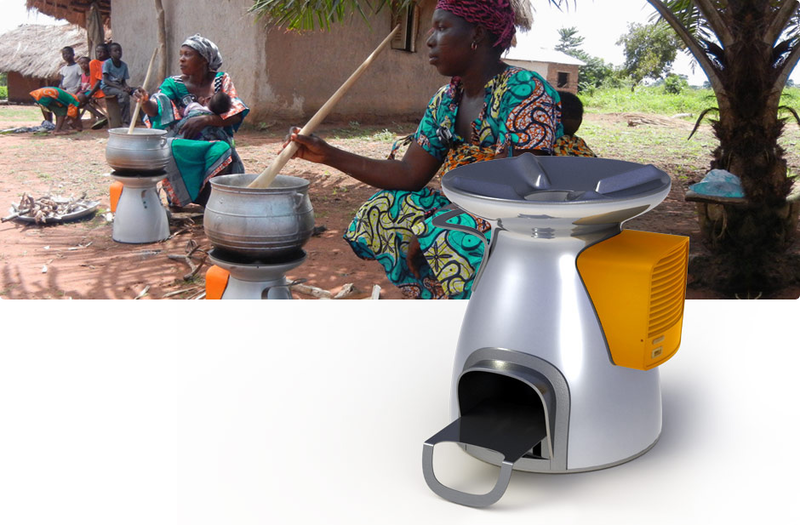 Reduction of this short lived aerosol can be as simple and cheap as replacing open fires with better cooking methods – saving millions of lives. Carbon dioxide can be reduced in agriculture – providing significant production and environmental conservation benefits. Agricultural lands occupy 37% of the earth’s land surface. Agriculture accounts for 52 and 84% of global anthropogenic methane and nitrous oxide emissions. Agricultural soils may also act as a sink or source for CO2, but the net flux is small. Many agricultural practices can potentially mitigate greenhouse gas (GHG) emissions, the most prominent of which are improved cropland and grazing land management and restoration of degraded lands and cultivated organic soils. Lower, but still significant mitigation potential is provided by water and rice management, set-aside, land use change and agroforestry, livestock management and manure management. The global technical mitigation potential from agriculture (excluding fossil fuel offsets from biomass) by 2030, considering all gases, is estimated to be approximately 5500–6000Mt CO2/yr. Improvement in the cost and performance of renewable technologies is the most impactful lever for reducing this incremental cost. This latter is a matter of fostering technological innovation in energy production. The key to solving for both climate and poverty is helping nations build innovative energy systems that can deliver cheap, clean, and reliable power. The key question in my mind is why it is so difficult to converge on a comprehensive policy. While we’re at it, why rob from the poor to give to the rich by subsidizing the installation of solar panels on roof tops in the developed world and requiring that utilities purchase the excess power at retail price when they would do a lot more good in places like sub-Saharan Africa or southern Asia, the primary source of black carbon emissions otherwise known as the Asian brown cloud. In Australia, I see little evidence of this transfer of cash between classes. I for example do not use PV systems because I believe their use reinforces a falsity that they are a meaningful tool to address climate change. For this reason I would prefer not to subsidise my neighbour’s feed in tariff. I am however firmly of the opinion that rational GHG control measures should be as close as possible to the polluters themselves – they need to live and breath this stuff. Good question, but as others have already pointed out the closure of nuclear power plants has offset most or all of the reduction in CO2 from German wind turbines. You may not want to pick on Germany, but in this case, some criticism of their policy choices seems perfectly justified. As Mike M correctly points out, the desire to close nuclear power plants and the desire to generate electricity from wind and solar are two sides of the same green colored coin, even though they have opposite effects on CO2 emissions. Light water nuclear plants are not remotely cost competitive with gas in the US. Advanced designs are not competitive at current gas prices. They are likely to be within a decade – just as advanced reactors start rolling out of the factory. Conventional plants have a plethora of other problems – waste, size, siting, proliferation, safety – that have been obvious for decades. Advanced designs solve all these problems. 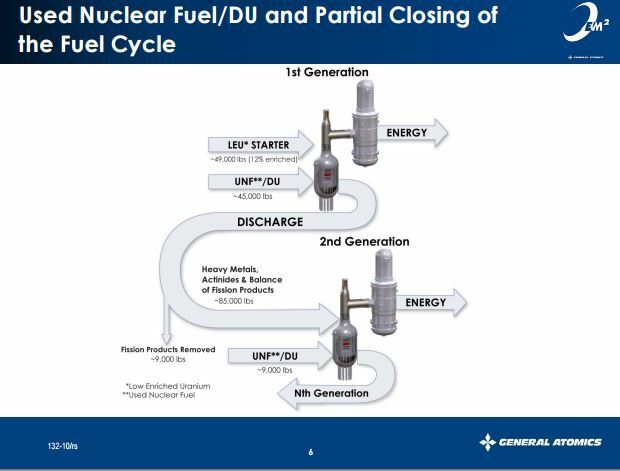 Nobody is going to buy an untested fission reactor of a different type than a LWR or PWR which has decades of proven commercial operation. That reactor in the presentation would have to be pilot tested for a very long time. How much of the capital cost of nuclear power plants in the US is actually interest? If permitting a nuclear plant didn’t take a decade, what would the capital cost be then? I suspect it would be a lot lower. It’s too bad that it’s nearly impossible to get information from China. It would be interesting to know what it costs them to build a nuclear power plant. They currently have 25 under construction with more planned. Small, modular reactors are not a stretch at all. I have seen this before. Nuclear is good – you can eat radiation for breakfast – – those damned greenies have caused approval times and cost to blow out – but advanced fuel cycles are unworkable. Wherever you look in the world nuclear plant lcoe is relatively high – compared to gas in the US. 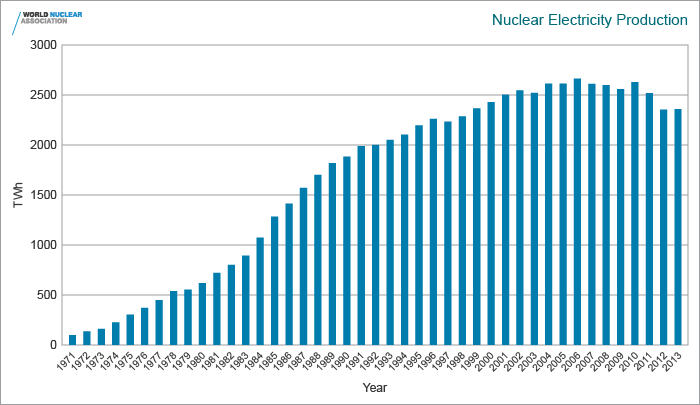 Currently nuclear plants continue to produce significant amounts of high level and very long lived waste. Disposal remains an insoluble problem – along with the other intransigent problems. The solution to waste involves mass – rather than chemical – separation of fission products and actinides using a plasma mass filter. The actinides are then recycled through subsequent fuel burns. Resulting in some 3% of the volume of waste which consists of relatively short lived fission products. The cost of gas in the US used to be a lot higher. As recently as 2008 it peaked at $12.67/Mbtu. The other problem with gas is a lack of pipeline capacity, not to mention opposition to fracking which produced the cheaper gas. Nuclear waste is mainly a political rather than a chemical or engineering problem. Proliferation as a reason for not recycling used fuel rods, and you don’t need a mass filter to do it just chemistry, is a horse that left the barn long ago. There are a couple spikes in gas price – but the long term annual average has never exceeded $10/MMBTU. The problem with chemical processing is the difficulty in removing the last 3% of trans-uranics because of the chemical similarity between compounds. Not to mention the immensely toxic chemical waste stream and the prohibitive cost of chemical reprocessing. Unless you are reprocessing you are using just a few percent of the energy content of fuel – severely reducing the value of the global resource and producing large volumes of waste that is toxic for many millennium. I remain very unimpressed with your ‘facts’. Practical disposal of nuclear waste requires high-throughput separation techniques. The most dangerous part of nuclear waste is the fission product, which contains the most active and mobile radioisotopes and produces most of the heat. We suggest that the fission products could be separated as a group from nuclear waste using plasma mass filters. Plasma based processes are well suited to separating nuclear waste, because mass rather than chemical properties are used for separation. A single plasma stage can replace several stages of chemical separation, producing separate streams of bulk elements, fission products, and actinoids. The plasma mass filters may have lower cost and produce less auxiliary waste than chemical processing plants. Three rotating plasma configurations are considered that act as mass filters: the plasma centrifuge, the Ohkawa filter, and the asymmetric centrifugal trap. I am not sure what the problem is with either advanced fuel cycles or mass – rather than chemical – separation of waste products. Without which nuclear generation generation remains expensive and problematic on mny fronts. I used to do plasma mass spectrometry for elemental analysis. Whoever proposed that process doesn’t have a clue about how it would actually work with a highly radioactive feedstock. They had banks of mass filters, called Calutrons, at Oak Ridge to separate 235U from 238U. Almost all of them were shut down soon after it was shown that gaseous diffusion would work reliably. As problematic as chemical separation is, it’s trivial by comparison to plasma mass filters. Its not obvious to me. The only thing obvious to me is the critical role of energy storage technologies. And I quote from the 2 page position paper you link to. Can’t really see anything on energy storage – but a little on carbon sequestration. There are lots of energy options but few that are able to provide the enough energy to make a difference. Th new fission designs – the advanced fuel cycles – can use thorium, uranium and plutonium – and use most of the available energy in these resources. Some 300 times the energy of oil reserves. There is lots of literature. But has anyone done anything outside a laboratory? Just because something is possible does not mean it’s feasible or practicable. Mass plasma filters have been investigated since the days of the Manhattan Project. But the objective is not to separate isotopes – but to separate fission products from trans-uranics. Making the output useless for bombs – but very good for removing shorter lived fission products from the waste stream for disposal. To CH, Think about curium and let us know. There are good reasons why Lockheed Martin is not utilizing funds on advanced fission reactors…and its certainly not because fusion offers an enticing roadmap when you’re broke. This interest in small and medium nuclear power reactors is driven both by a desire to reduce the impact of capital costs and to provide power away from large grid systems. be completely built in a controlled factory setting and installed module by module, improving the level of construction quality and efficiency. Their small size and passive safety features lend them to countries with smaller grids and less experience of nuclear power. Size, construction efficiency and passive safety systems (requiring less redundancy) can lead to easier financing compared to that for larger plants. Moreover, achieving ‘economies of series production’ for a specific SMR design will reduce costs further. It’s clear that this is a practical and workable idea which brings reduces nuclear costs and recycles existing high level waste – 70,000 tons in the US alone in addition to depleted uranium. Without these technologies – there is no large scale nuclear fission future. Nuclear will continue to lose market share. The fission technologies work and are well understood. GA is spending $12B on a fuel processing facility and a factory for plant production. Skunk Works fusion may or may not work – the Lerner process may not work – ITER may not work. Interesting as these projects are. But hell if they can provide even cheaper electricity – it would be a job well done. And yet again – let’s remind ourselves that greenhouse gas emissions from coal and gas generation are some 26% of the total – and about half the climate forcing of black carbon. It remains just one relatively minor term in the mitigation equation. SOD, you may looking at this problem from the wrong perspective. German COMPANIES have invested €40BN in capital to produce electricity from wind for German customers for the next few decades. This electricity is the reason for this investment – not the reduction in CO2 – and the Germans can’t get this product from building turbines in the US (or China or India). The German companies that have invested capital in wind and solar are expecting to earn a substantial profit on their investment by charging the German people high rates for the electricity they produce. Those rates are probably set by long-term contracts likely to produce a very attractive return on invested capital given expected maintenance costs and equipment lifetime (which could be a problem with wind turbines). German companies that own fossil fuel plants may be losing money because wind and solar have taken market share away from them. However, I suspect those companies are still profiting from meeting demand when wind and solar aren’t available. (Otherwise they would shut down and use the loss to reduce taxes on other income.) The real losers are the owners of nuclear plants that could be operated for many years in the future with little additional capital investment, but newer plants (whose owners may not have recouped their capital investment) are being allowed to operate for another decade (so their owners will have some profits). The putative environmental benefits that the German people will receive are not closely linked to this investment of €40BN. The real cost to the German people and businesses is the HIGHER PRICE and taxes they have been and will be paying for “renewable” electricity. Emission of CO2 has externalities that will likely impose costs on future generations everywhere on the planet. The BENEFITS from avoiding these costs will flow to everyone, not just the Germans. Given the uncertainty in climate sensitivity, in costs associated with climate change and in applicable discount rate, no one can say what those benefits will be, but only about 1% of them will be realized by the German people (and 10% by the EU) – in the absence of a binding agreements with the rest of the world. If a functioning worldwide cap-and-trade system (or carbon tax) existed, maybe German power companies WOULD choose to build wind turbines in the US where they can produce twice as much power per Euro invested. In fact, they may have done so already. Capital flows to where the best return is anticipated. However, there is no free marketplace in electricity; everything is highly distorted by government intervention (and was even before CAGW). If the German people had access to reliable information on the cost they are paying for reducing emission (and reducing the risk of a nuclear accident), perhaps they would adopt different policies. Unfortunately, your information on capital costs doesn’t really tell us what we want to know – the cost per ton of CO2 not emitted. (Perhaps you will choose to discuss this subject in future posts.) Instead we see all of these wonderful graphs that show the growing PERCENTAGE of “renewable” power, not the reduction in EMISSIONS from productions of electricity. According to this Figure, almost all of Germany’s renewable energy added over the last decade and the next decade will go to replacing nuclear power and a small reduction in CO2 will result from a reduction in use of electricity. So at best in 2023, Germany will have reduced fossil fuel generated electricity by 20%. But the reduction in CO2 emissions will be less than that because most of the reduction is in natural gas and hard coal fuels, which generate less CO2 emissions/kWh than lignite. Seems like a lot of money spent to minimal effect other than making people feel good about themselves. To express it more clearly, with a continuing 165 tWh of power from nuclear (the 2003 figure), Germany could have been producing 420 TWh (75%) of its electricity next decade without emitting any CO2 – unless you want to count CO2 emissions from biomass. Of course, this ignores that fact that peak demand in Germany comes when solar power is fairly low. SOD, There are two issues with the very nice series you have done. First, you have substantial backup cost for wind power and while it isn’t a factor of 1000, you have 2X the build cost because you have to build the power generation twice. It simply isn’t true that distribution of wind farms solves the demand issue – as your own graphs show. Electric generation is far too key to our quality of life and economic activity for rational people to just shoulder shrug brownouts away. Second, elimination of CO2 production is not proven beneficial. I know it is popular to think it must be beneficial to eliminate CO2 but from all aspects I believe it is clear that CO2 release is beneficial for life in all forms on Earth. Warmer is better, more CO2 helps plants. This outweighs any of the very minor effects which ‘might’ be attributed to CO2. The extreme doom predictions are based on fairy dust more than science. This statement is a common sense answer so often overlooked it is hard to imagine. So why work toward reducing CO2 at all is a perfectly reasonable question. Of course, I get labeled an extremist for even suggesting such a thing. I will come back to the wind farm (and solar) intermittency issue of course. I hope I haven’t suggested so far that wind does not have an intermittency issue. It does. I hope I have explained that clearly in previous articles. On CO2, like with most other subjects, pinning a label (e.g., extremist) is not very helpful, except for indicating lack of time on the part of the “labelor” (is that a word? ), or more often, lack of ideas. However, in this series, I am approaching my chosen subject with the idea that as many governments are trying to “decarbonize” electricity generation it is worth investigating. Many put forward reasons “against” that are really to do with their views on climate. Many put forward reasons “for” that are really to do with their views on climate. This is clear because so many discussions on electricity production finish on the problem of CO2 vs the non-problem of CO2. So – I would like to figure out what it costs, what grid problems it causes, how they can be dealt with, how intermittency is dealt with, what transmission impacts it has.. etc, etc. All without even asking the question whether reducing CO2 emissions is a necessity/crazy idea. But you are not reporting how much reduction in emission of CO2 costs in $/ton, you are mostly reporting how much power from wind and solar costs to generate per kWh. Changing demand, the need for reliability, and hidden costs make these two very different. Are there any studies that deal with the whole system? It’s a question I want to answer. There are a number of studies reported in Gross et al 2006 but I decided they are all too early – they are from a period when the wind penetration was very low. The wind penetration is significantly higher now, so it should be possible to get a much better answer (range of answers). So far, I haven’t found such a study. Of course, I keep getting sidetracked with real life and other interesting questions about renewables. The costs are very difficult to quantify. I agree that you have broached the subject far more thoroughly than most, however, it is only a broach of the problem as intermittance is the primary issue of all solar energies -aka renewables. 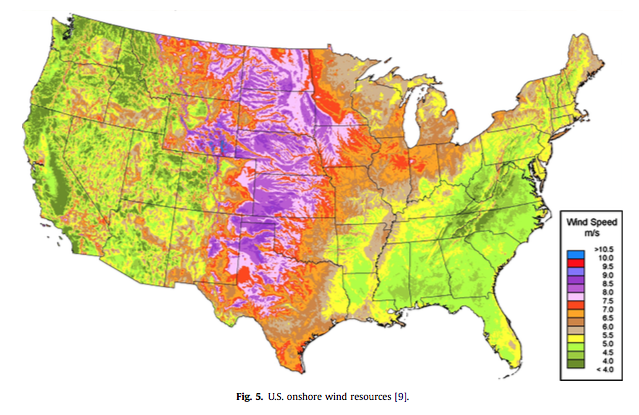 Wind is simply the best of the worst current options for energy. The best options are still combustion based. It is quite clear that whether we successfully eliminate (immolate) energy progress this century or not, nuclear power in some form is the eventual future. We need energy density, continuity of service, and cost effectiveness. Then we have a solution to the otherwise beneficial production of CO2. Eliminate any one of those three and you have nothing particularly useful.